It's coooold in the basement, so everyone told Pete: Nuts to you, we're doing segments. Pete shed a tear, but he moved on and managed to review comics, and announce the art contest winner. That's right, more segments! Pete and Steve groan about Nemesis, Ramon cheers for Superman/Batman and Adam discusses some Warren Ellis favorites. Whats got Steve down on his knees waiving his fists and screaming? Who are this week's guest panelists? What's that mysterious smell coming from the back? 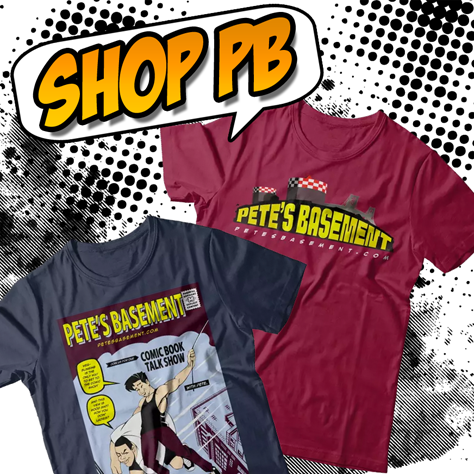 The answer to these questions and more in this action-packed episode of Pete'e Basement! Back to the roundtable this week. Down two, Pete manifests a special guest in true 80's fanboy fashion.